Planning which college to attend is one of the most important decisions you will make as a young adult, and there is so much to consider. It can feel overwhelming narrowing down the search and deciding on which colleges to visit. This guide will help alleviate some of that stress and answer all your burning questions. It is impossible to visit every single school on your list, especially when geography is working against you. Start your search online by navigating around the school’s virtual tour, which can be found on most college websites. Ask yourself a few simple questions first: are you looking for a big or small school, what are you studying (liberal arts or trade/tech) and do you prefer state or private? Try visiting at least one of each type of school (big, small, far from home, close to home, etc.) if you are unsure. Now it’s time to plan the visit! Make sure to plan far in advance especially if you are planning to go at a busy time of year. Browse the college website’s admissions page and schedule your tour ahead of time. Ensure the time you select will allow for dorm visits or perhaps the option to sit in on a class. Avoid school holidays when the campus is likely to be empty, and times when it might be particularly busy such as “move in” days. On visit day, try and think of a few minor details they may not mention in the tour: how do people get around, are they riding bikes, taking the bus, or walking? Is there a sense of fun and positive school spirit or do people look stressed and exhausted? Are there safety measures put in place around campus? Also, take the time to check out the nearby neighborhoods and popular hangouts in order to get caught up on what is going on in the community surrounding the campus. Treat your visit like a family vacation, have fun, ask questions, and don’t be afraid to explore! 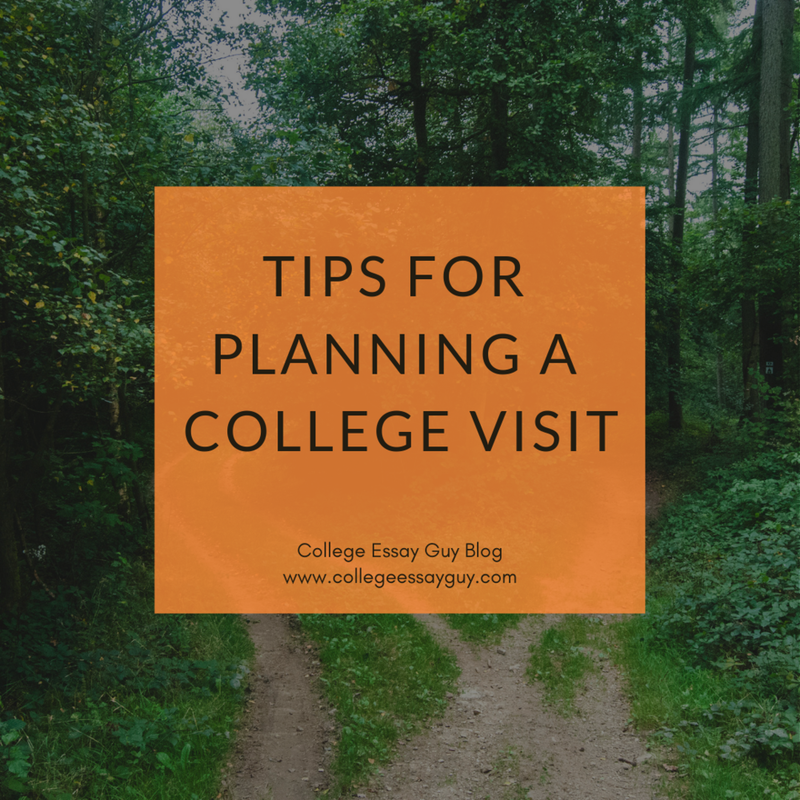 For more tips on planning a college visit, check out the full article by our friends at Fix.com. need help nailing your personal statement?